Hours: 07:00 to 21:00 seven days a week. Great location with beautifully renovated executive and deluxe rooms. The Dog Rock Motel is situated in the heart of the city, close to all the action. Lime303 is a fully licensed restaurant with an award winning chef, complimented by a wine list for those who enjoy the finer things in life. The modern convention centre has all the latest technology including drop down screen, data projector, electric whiteboard and wireless hotspot. Also caters for small to large weddings and functions. Dog Rock Motel is only a few minutes drive from the beach and being in the centre of town close to all the local attractions. Albany is renowned for its fishing, diving, lovely bush walks & beautiful scenery. Queen bed in room with ensuite bathroom, Foxtel. Breakfast served in our restaurant Lime303 or room service available. Our Deluxe Rooms have a Queen bed. 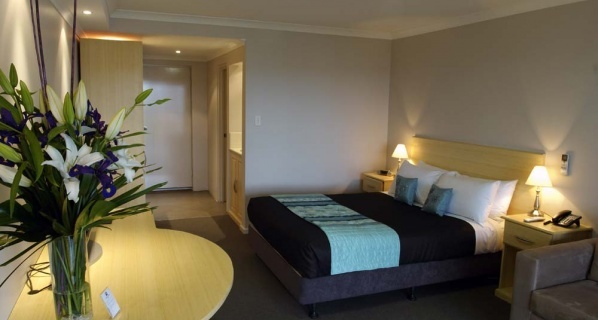 Spacious room with Foxtel, internet access. Breakfast & dinner available at Lime303 or room service. 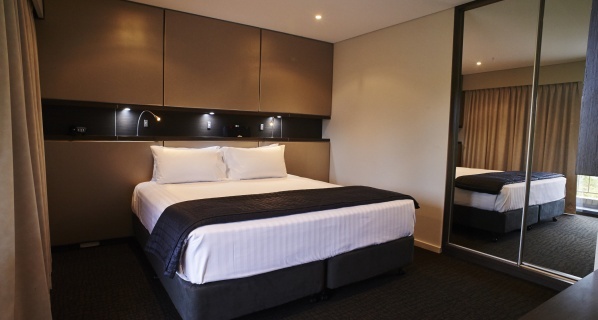 Queen & 3 king single beds in room with ensuite bathroom, Free WIFI,Foxtel and in-house movies. Breakfast or Dinner served in our restaurant Lime303 or room service available. Queen & king single bed in room with ensuite bathroom, Free WIFI,Foxtel and in-house movies. Breakfast or Dinner served in our restaurant Lime303 or room service available. 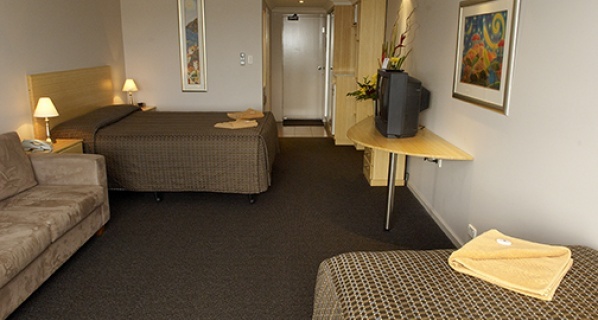 Queen & two single beds in room with ensuite bathroom, Free WIFI,Foxtel and in-house movies. Breakfast or Dinner served in our restaurant Lime303 or room service available. Queen & single bed in room with ensuite bathroom, Free WIFI,Foxtel and in-house movies. Breakfast or Dinner served in our restaurant Lime303 or room service available. If cancellation occurs within 14 days of arrival there will be an automatic cancellation charge equivalent to the cost of one nights accommodation unless the accommodation is rebooked. If cancellation occurs within 7 days of arrival there will be an automatic non-refundable cancellation charge equivalent to one nights accommodation or 50% of the entire booking which ever is greater. In addition In addition there will be a $62 Albany visitors Centre cancellation fee.